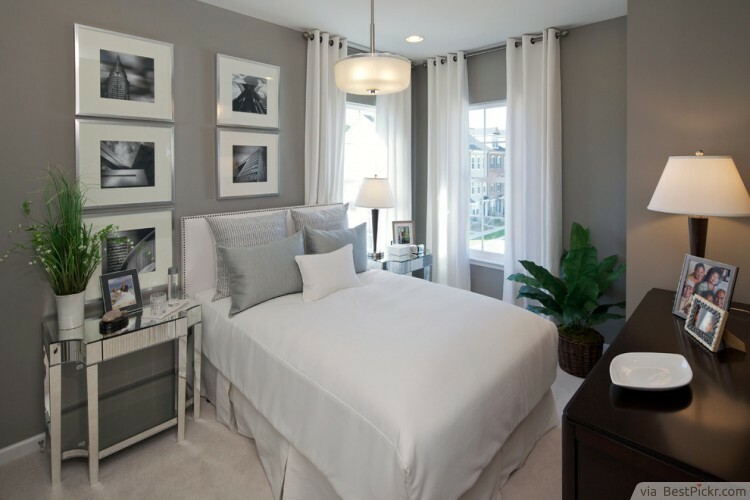 One bed with white sheets and grey pillows-- this will already give you an idea on how to design your tiny bedroom. Start off with grey paint for your walls, and then choose some milky white curtains. Select black and white photos and frame them with broad white borders. Place a mirrored side table, and few touches of green plants. All these ideas will make your bedroom modern looking.